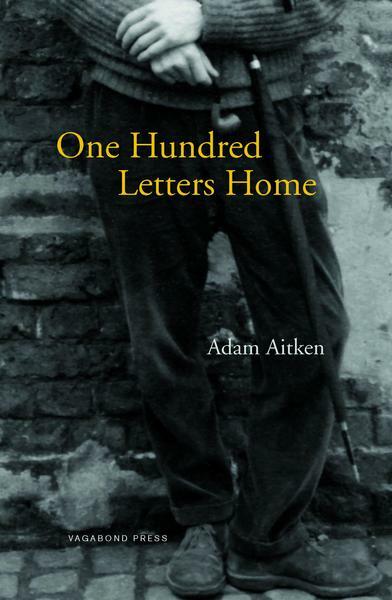 In his memoir A Hundred Letters Home, Adam Aitken looks back into his family’s past, and specifically, that of his enigmatic parents. Today a poet and academic, Aitken was born in London in the 1960s to an Anglo-Australian father and a Thai mother. His early childhood was spent in South-East Asia before the family moved to Sydney in 1968 where his parents later separated. Aitken examines their complex relationship and probes his own sense of cultural and filial ties, using life writing as a means to grapple with his distinct cultural hybridity. The text itself is hybrid, drawing on family photographs, his father’s letters and conversations with his parents and doctor. It includes some of Aitken’s poems as well as other intertextual references, and gaps are filled with recounted memories and speculation. The memoir jumps between multiple timelines, retelling Aitken’s trip to Thailand as a young man in the early 80s, reaching back to 1950s Bangkok, when his hard-working, hard-partying ad-man father fell in love with his mother, then forward to the separation of his parents and back again to his early childhood in South-East Asia. What seems at first a fragmented, non-linear text gradually develops, as anecdotes overlap and chronologies intersect, into an intricate, richly layered narrative. Drawing the memoir together is a persistent vacillation between feelings of closeness and distance, of connection and estrangement. This tension is particularly striking in the representation of Aitken’s relationship with his father. His ambiguous attitude towards the man who was so often absent during his childhood shapes the way Aitken relates to the rest of his family, his Thai heritage and ultimately how he views and judges himself. Aitken remembers with bitterness the interminable summer he spent with his mother and brother in Perth, “like refugees in a detention camp”, while his father arranged a house on the other side of the continent in Sydney. As Aitken becomes aware of his difference for the first time, (to the school bullies “We were ‘Ching-chong Chinamen conceived in a pot’”), his father becomes more and more of a “stranger to us, a man who embodied Australia itself but who was not around to affirm it.” The gulf between them only widens when the family move to Sydney: his father misses sailing lessons and music practice, too caught up with his bohemian friends, left-wing parties and success as an advertising executive. He transforms into something abstract, made concrete only by Aitken’s habit of collecting symbolic tokens, (golf balls, a cigarette lighter, his fountain pen), replacing “a real father with images.” Even today an oppressive “Web of Silence” remains between them. True feelings are only communicated through the most cryptic of clues, his father preferring to hold forth on his latest obsession – “kitchen taps and Sabatier knives” – rather than discuss his depression: “After years of silence (the watching-TV-after-a-hard-day-at-the-office silence) I have become irritated that now he makes me the compulsory listener”. Aitken even admits he became “willing to believe my father hadn’t been my real father.” After finding a photograph of his mother as a young woman with another man, Aitken almost convinces himself that Robert, a handsome Swiss his mother had met in the ‘50s while his father was posted in Hong Kong, is in fact his biological father: “My father always said I looked just like my mother, but I like to think I have Robert’s looks.” He wonders if Robert could “have been the better father, the one I never had… In my dreams, I imagine myself the child of this man: an adventurer, someone rich, a man I knew nothing about”. In recurring scenes, Aitken uses this photograph as “archival evidence” to obsessively quiz his mother about her past. However he soon discovers she won’t easily cooperate, refusing to remember certain details and purposely misremembering others, claiming “‘He was a travel agent, that’s who he was.’ Then she changes her story and he becomes a banker.” Though she dismisses the idea of an affair, “‘Not really my type’”, Aitken later discovers that letters from Robert continued to arrive, including one with a photograph of the pair of them dressed casually, sitting close and laughing – captured in the moment of a punch-line or funny memory, his mother looking positively “alive again”. As a reader, we have the impression Aitken is at times reluctant to accept this connection with his father. When he comments “‘Son, you’re becoming so much like me in your old age’”, Aitken adds bitterly, “There you go – everything refers back to him (he believes this book is all about him).’” However, the process of life writing, of revising their shared pasts, clearly highlights the unexpected truth that Aitken is, after all, much closer than he expected to his father. Despite the failures of family, Aitken ultimately accepts that his father is in fact “some other version of myself”. REBECCA ALLEN completed her Honours degree in French language and literature while also editing Hermes, the University of Sydney Student Union’s literary journal. She has volunteered for Contrappasso Magazine, a journal for international writing, and has interned as part of Mascara’s prose fiction editorial team. She works at Penguin Random House Australia and is a regular review contributor for Mascara.